Gold sheet impression. Swallow or Wr. From Egypt, Giza, Pit G 7757 A, (tomb of Kheperre). 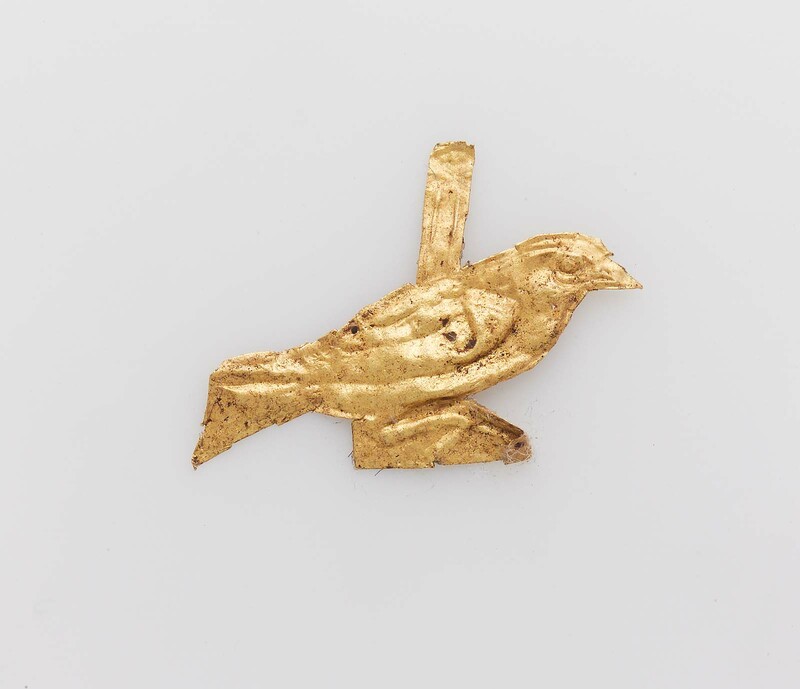 1929: excavated by the Harvard University–Boston Museum of Fine Arts Expedition; assigned to the MFA in the division of finds by the government of Egypt.